Last spring I got a big surprise when I took my daughter to get her hair cut. She had been talking about wanting to go shorter and with the “it’s hair, it grows back” mentality, we chatted with the hair stylist about lightening things up for the hot Texas summer. As I was sitting in the lobby trying to keep my 4 year old from hoarding all of the good trains at the train table, I kept hearing her little voice in the distance saying “Nope, shorter.” When she came walking around the corner to grab her post-haircut lollipop, I barely recognized her. 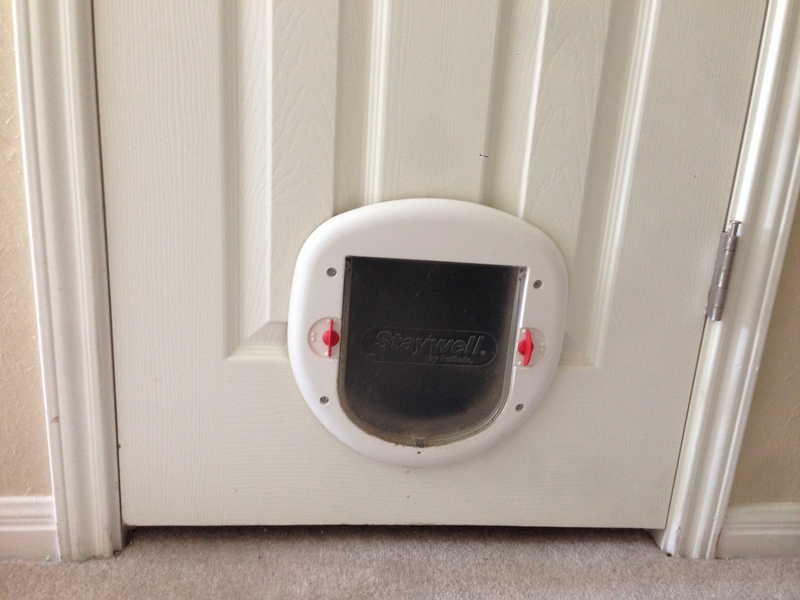 After months of deliberation, I think I have finally uncovered my perfect new career – an intersection of my natural gifts, MacGyver ingenuity and my true passion: Geriatric Pet-Proofing. It’s like one of those baby-proofing services, except instead of protecting babies who poo and pee all over themselves and fall down the stairs, it will protect your senior-citizen pets who also poo and pee all over themselves and fall down the stairs. The first time I took a Myers-Briggs test was at my first job, almost 20 years ago. I was 23 years old, working 80+ hours a week as an Assistant Media Planner at a big ad agency. Our Media Director had just returned from some management training session and was very enthusiastic about us all gaining a better of understanding of how to work with each other based on our personality types. This was going to be interesting. My direct manager was a professional/executive type by day, but at night he would transform full goth, put on vampire teeth and go to rave bars, often coming in the next morning with traces of eyeliner and drinking near-lethal amounts of coffee to survive the rest of the day. My parachute is dusty, and so is my ‘Parachute’ book. I immediately note two things about the book: 1) It has clearly never been opened and 2) It’s the 2004 edition. I try to recall when and why I acquired this book. By 2004 I was already pregnant and I quit my job in 2005 with no intentions of working again for at least 4 years. I can only assume that I bought it around my 3rd month of being a stay-at-home mom, when I was still building Excel worksheets to analyze feeding times, duration and volume consumed, (oh yes I did). 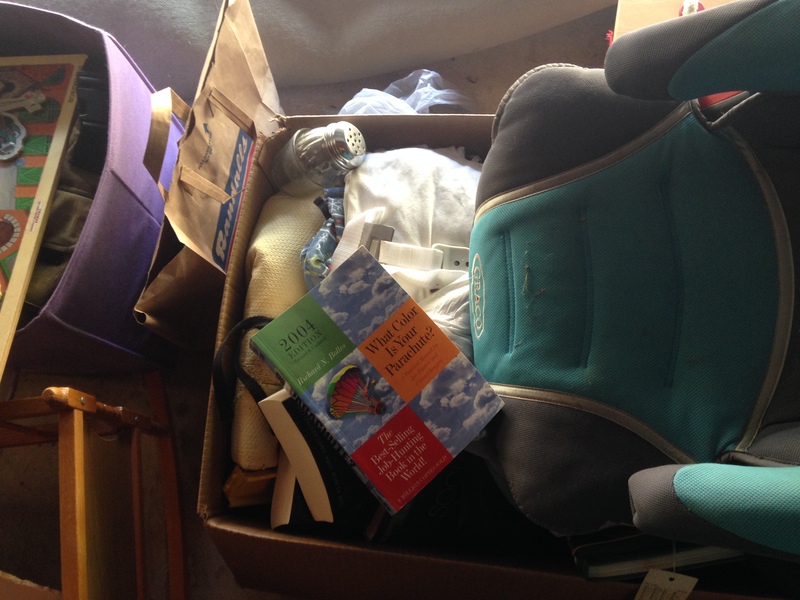 Without a doubt, not working was a much bigger shock to my system than that tiny baby was and I have a feeling that even then, somewhere in my sleep deprived haze, I was anxious to start figuring out what my post-kid phase would be. Things I do to avoid starting my job search…. My goal for today was to figure out the WordPress format for my blog. Instead, after 2 hours of trying unsuccessfully to get thumbnail images to show up on the homepage, I decided to redirect my energy to something much more pressing….determining the temperature inside my bathroom cabinet. This became important after I happened to glance down at the box of my kids’ allergy medicine and see that it should be “stored at under 77 degrees”. Considering I set the thermostat at 77 degrees…and this cabinet is on an exterior wall…and it’s August, I figured some research was in order. We’re currently at 78 degrees which can only mean that all of our medicine has been rendered useless, yet I will continue to give it to my children, counting on the placebo effect. In better news, I did finally figure out the thumbnails so that you can enjoy the photo of this little thermometer girl smiling while $100 worth of Claritin explodes in my closet. Today is my 4 year old son’s last day at preschool. 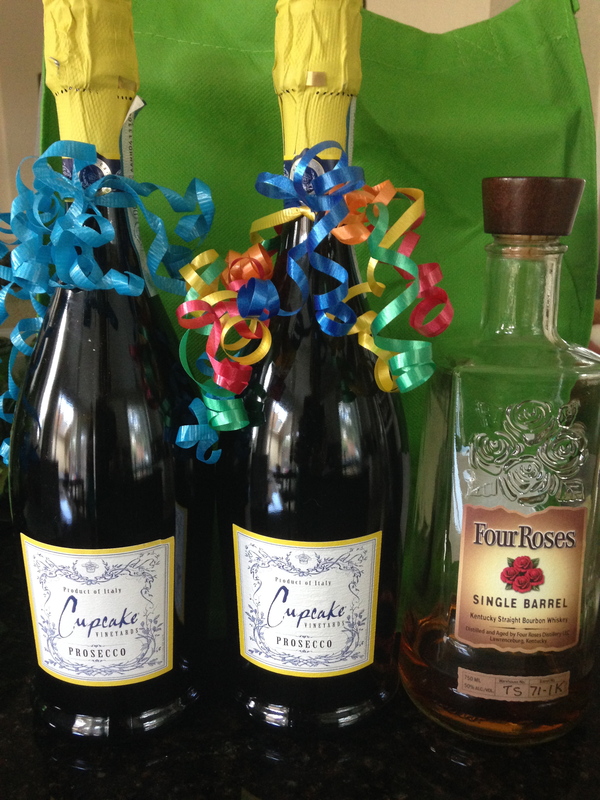 The 2 bottles of champagne are thank you gifts for his teachers…The bourbon is for me. I don’t need a drink because he’s done with school. I need a drink because in 10 days he will be starting ‘real’, as in 6 hours a day/5 days a week, school and after almost a decade out of the work force, it’s time for me to get serious about thinking about what I want to do next.